Vented or two-stage screws are applied when volatiles must be removed in order to make a satisfactory product. How does a vented screw function? First, it reduces the melt pressure to atmospheric, so there is no tendency for the polymer to be pumped out the vent opening. That is accomplished by increasing the channel volume so that the output of the extruder only partially fills the flights under the vent. A vented or two-stage screw is essentially two screws on the same shaft. 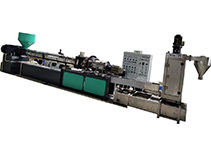 The first works as a conventional screw by feeding, melting, and conveying the polymer forward. The second screw does the same, except it is melt-fed by the first screw. 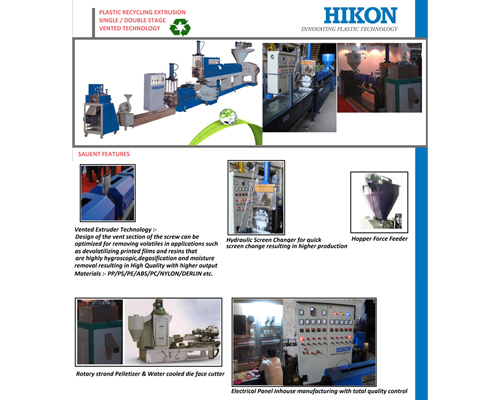 The first screw operates with no head pressure, while the second has to overcome any head pressure from the die and other downstream components. In order to keep the vent section of the screw from filling and developing vent flow, the second screw must have more output capacity than the first screw. Proper venting with no leakage or vent flow does not depend solely on the design of the screw. The barrel vent opening has to be fitted with a contoured plug called a diverter. The diverter deflects polymer away from the opening or else it will quickly become filled with melt. Its design is more of an art than a science but there are many variations that work, all using the same principles. 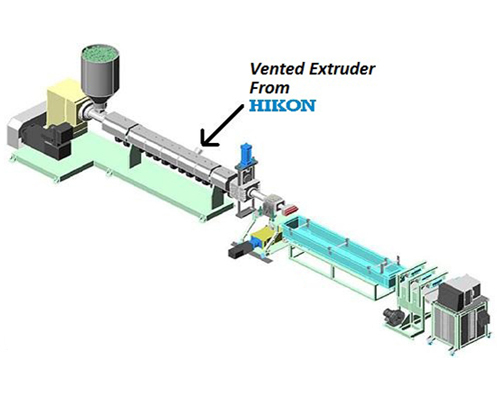 Design of the vent section of the screw can be optimized for removing volatiles in applications such as devolatilizing printed films and resins that are highly hygroscopic. 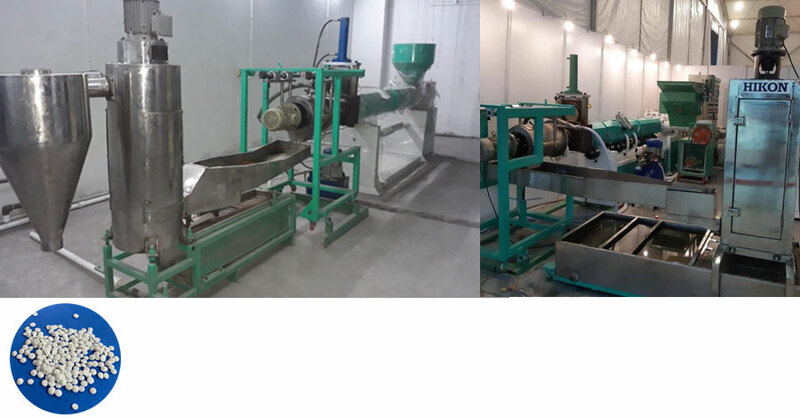 Another approach is to make a three-stage screw with two vent sections, thereby doubling the devolatilizing area. Also, vacuum pumps can be applied to the vent to remove residual volatiles with low vapor pressure. 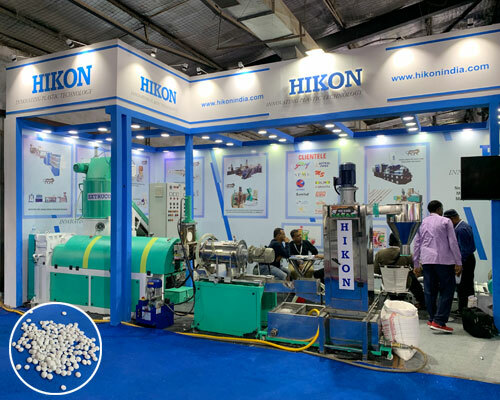 Accurate Hikon own manufactured Vented Technology screw and barrel for moisture removal. With High output with the lowest electrical consumption. Output range from 100 kg/hr to 1000 kg/hr. With optional PLC control for extreme performance. With VFD control for alteration of motor speed. 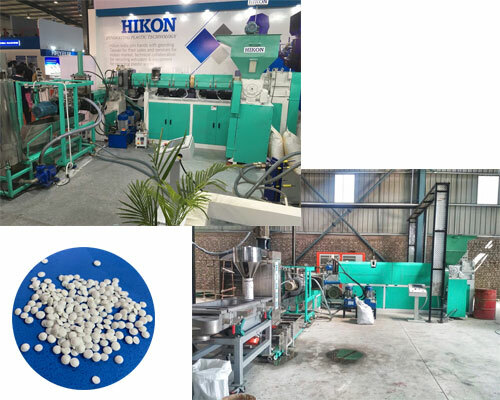 With compactor direct on extruder for automatic feeding of plastic film waste for higher output and less electrical consumption and less man power requirements.